The 157th ARW/131st ARS operates the KC-135R Stratotanker and is an Air National Guard unit based at Portsmouth International Airport at the former Pease AFB in NH. They perform daily Air Refueling Airlift flights above the skies of New Hampshire. Practicing connections for training of both the KC-135 crew and the many different receivers of New England such as the 103rd & 104th A-10 units, 158th F-16 unit, and the 438th C-5 AW. The 157th and the 101st ARW at Bangor Me make up the Northeast Tanker Task Force which supports the transatlantic Air Bridge of Cargo and fighters going to and coming from Europe. These flights last up to twelve hours as they make sure the aircraft are full of fuel for their long flights overseas. I had the opportunity to accompany a family appreciation flight with the 157th. This is where family members or key supporters of the 157th are allowed to be in the aircraft as it refuels other planes to show the mission at hand and keeps their family loved ones away while over seas. Col. Richard P. Martell, commander of the 157th Air Refueling Wing gave us a briefing of what would be done. We would take off as a two-ship, this would allow the receivers, A-10 Warthogs from the 104th FW to connect to both tankers while in the refueling pattern. Our refueling area is known as Laser North, this is basically a refueling box over the Mt Washington area. Col. Martell explains how the two tankers will take of and set up in pattern. We are escorted out to the ramp, the weather wasn�t great for flying. Cloudy and dreary conditions greet us as we get off the two small buses. We are brought around our tanker, 61-0310. The KC-135 has been in service over 50 yrs and should be for another 20 more while the Military look for a new replacement. The boom operator walks us around the back and explains from the outside what will happen. We make our way inside and wait for the pilots to finish their check list and listen for the engines to start. We are call sign Pack 61 Heavy flight. Our aircraft is the lead aircraft while the second ship is known as Pack 62. We get clearance to taxi to RW16. After some last minute checks we release from holding on the runway for a take off. We lift off and start heading over the ocean and break through the clouds. The 2 A-10s will call in when coming to the Initial Point and will be cleared in by the boom operator. 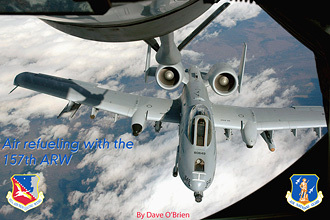 We fly at 20,000 feet and seeing that the A-10 is one of the slower aircraft, the KC-135 has to slow it�s speed down to accommodate the slow receivers. This does cause a little issue for the boom operator because the less wind going over the boom wings cause the boom to be a sluggish reacting to his commands. We all have a chance to sit up in the cockpit and put on head phones. 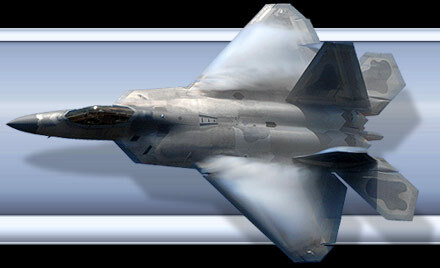 It�s truly amazing the amount of chatter that comes over the speakers while flying. You have Boston center which is in charge of keeping all the aircraft way from the refueling area and clearing aircraft into the tankers; two pilots talking to each other, the two tankers talking to each other and the boom operator talking to the pilots. The refueling tracks differ depending on what receivers they are refueling. If they were refueling larger aircraft like the C-5 Galaxy or KC-10 Extender they would have to fly straight lines on designated tracks and have the receiver just follow behind the tanker. These smaller fighters will fly a race track pattern inside the refueling area, the length and width depends on the tanker as he has to stay inside the designated refueling area. We are on station in about 20 minutes with Pack 62 slightly behind and above us. While I had the headset on I heard Rooster flight being cleared into the air refueling box by Boston Control. They were going to Pack 62 first for some plugs by the boom before moving onto our aircraft. As they moved onto our tanker, the lead A-10 came in a 1,000 ft below waiting to be cleared for pre-contact. His wingman sits off the left wingtip waiting to be cleared into the boom. The A-10 behind would be cleared in allowing the boom operator to plug the refueling area which is on it�s nose just in front of the cockpit. They will make multiple contacts each time moving away and getting cleared back in until both the pilot and boom operator are set. After the first A-10 is done, he�ll back out from behind and set up position on the right wing tip. His wingman now gets clearance from the boomer to take the pre-contact position behind and low. I was able to get on both sides of the boom operator while the A-10s were taking turns receiving fuel. It�s a very cramped space and I could only image what it must be like laying there while refueling the transit aircraft overseas. The first A-10 was just sitting off the right wingtip in perfect formation just watching the tanker. Once his wingman was done he came up on the outside of the lead A-10. They stayed in formation for about 2-3 more minutes while the people were allowed to get pictures out the window before breaking off to the right and departing the refueling area. We were allowed to take turns lying where the boom operator laid and see what he�s able to see without the boom in the down position. The window is pretty small but it�s a incredible view and experience to be able to watch from this vantage point. We got clearance from Boston Center to head back to Pease to land. RW16 was still the active runway so once we landed we would taxi back and park. Once the aircraft was shut down we were allowed to exit. I would like to thank the 157th ARW and PAO 2Lt. Sherri Pierce for working me in on this flight and SSgt Curt Lenz for helping me with the graphics for this report. Growing up just off this base and spending most of my free time here watching these planes in the pattern, it was an experience I�ll never forget.